HomeWorld AffairsPlanned US Coup in Greece? 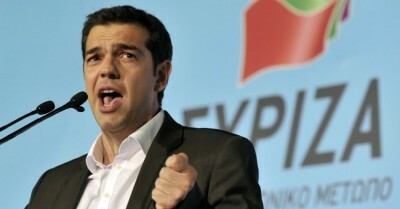 Planned US Coup in Greece? Washington’s geopolitical strategy when bullying fails is either assassinating independent leaders, color revolutions, military coups or naked aggression. Wherever neocon Assistant Secretary of State for European and Eurasian Affairs Victoria Nuland shows up (Hillary Clinton’s handpicked choice for the job), trouble usually follows. Helmer says she’s “in charge of warmaking in Europe.” Her notorious involvement in Ukraine’s February 2014 coup is well documented. Since the 19th century, Greece had five military coups or attempted ones. Junta dictatorship ruled from 1967 – 1974. Another one can’t be ruled out. Over five dozen former high-ranking military officials fired a shot across the bow declaring their “oath to the Fatherland and the Flag. By choosing isolation, we place the Fatherland and its future in danger,” they warned. They publicly called for a “yes” vote ahead of Sunday’s referendum. Will not getting it mobilize them along with other Greek dark forces, Washington and Brussels to oust Tsipras forcibly or otherwise? Grexit “will make our country weaker,” they claimed – even though Greeks weren’t asked about it and most oppose the idea. “We will lose allies that have stood by our side. We will lose the strength we gain from associations and groupings to which we belong historically and culturally,” the former military officials said. Ties to Washington and Brussels run counter to what best serves long-suffering Greeks. Will conditions be made worse than ever by greater austerity if coup rumblings become reality? Is this US/Eurogroup’s Plan B? Moscow remains skeptical about Tsipras withstanding Washington/Brussels pressure – especially given dominant Germany’s hardline position. He faces enormous pressure. His six months in office shows he promises Greeks one thing and does another. He agreed to nearly all Troika demands. Not good enough. They want total surrender. Germany’s Merkel and France’s Hollande told him to capitulate fully for further bailout aid. Greek banks remain closed. They’re close to collapse. The ECB raised the amount of collateral they must post for further emergency loans. Does Finance Minister Varoufakis’ resignation signal Tsipras’ capitulation to follow – negating popular opposition to austerity he pledged to support? Hollande spoke for himself and Merkel saying Tsipras must “offer serious, credible proposals” for bailout help – code language for demanding unconditional surrender, a Greek Versailles. He and new Finance Minister Euclid Tsakalotos are heading to Brussels for further talks. Hardline Troika officials intend cutting them no slack. Will Tsipras cave to their demands and betray millions of Greeks in the process? Given his record so far in office, it’s hard imagining otherwise. Hopefully he’ll surprise but don’t bet on it.